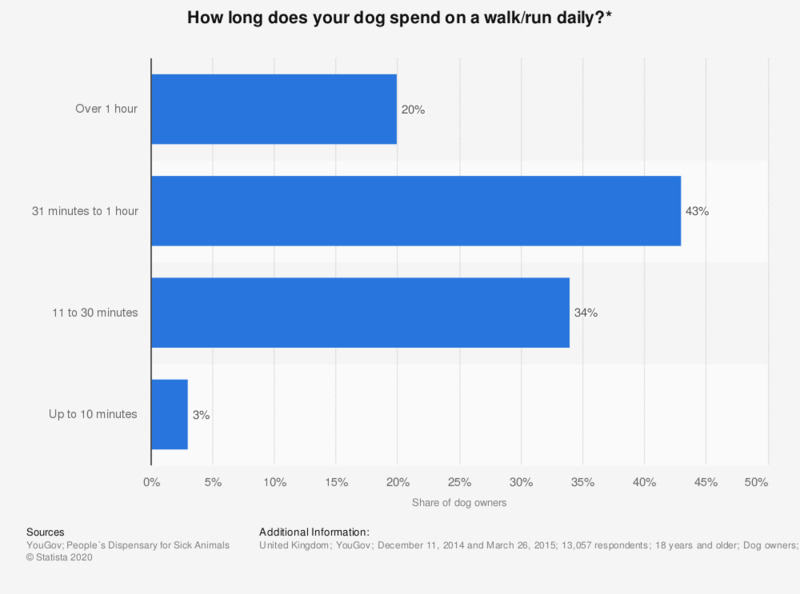 This statistic displays the duration with which dogs are taken for a walk by their owners daily according to a survey in the United Kingdom (UK) in 2015. Of respondents, only 20 percent said they take their dogs for a walk for more than one hour a day. This question was phrased by the source as follows: "How often does your dog walk/run outside the home or garden for 10 minutes or more? How long is this for?" Which of the following is your dog afraid of? Which of the following does your dog do on a weekly basis?